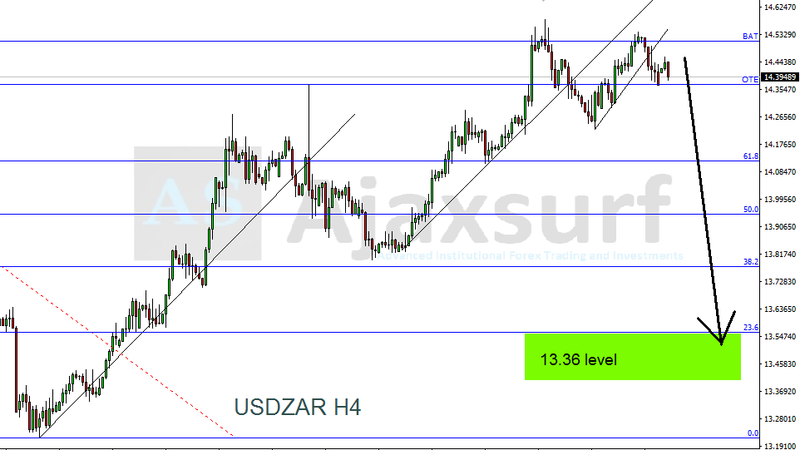 We believe that you made some very good money from our previous weekly Forex Article as the market played some very good price action which followed most of our trade setups. we had very less fundamental activity last week which caused a huge delay in price movement except for the USD interest rate decision which will be taking place on Wednesday 20 March 2019, in this event according to our fundamental Strategy we will be looking for a weaker dollar. 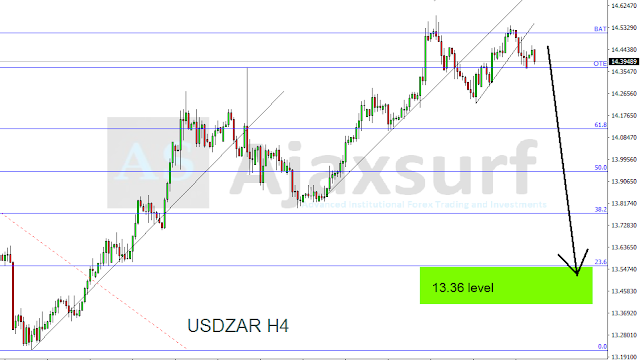 The US Dollar South African rand pair currently sits on an institutional optimal trade entry zone in which is a strong zone for institutional orders, this week we will be expecting a strong sell on the Rand once price leaves its current zone. The Kiwi has been looking for an upside break as we have seen price pushing up trying to break the current resistance at 0.68000, an anticipated break will reveal the highs of 0.72600. We bearish on the long term on Gold with price having been rejected at 1345 opening room for our long term entries which we had made a lot of pips from selling, we are currently looking to see price push back to 1325 which is our second sell zone on Gold which will push price back to 1245. The market has pulled back to as shown on the analysis below leaving an inside bar candle formation which is a confirmation that price is heading towards our sell target area. On UsdCad we having a great sell setup as price is currently on a high bearish zone in which we will be looking to see more institutional selling from the area. on the bearish zone price has formed a rising wedge bearish pattern which also confirms the sell in the market. The EurUsd has shown some great recovery after it experienced a major drop in price last week causing price to the reach the 2017 lows 1.11700, the market made a huge recovery pushing back above the 1.13000 zone and we will be looking for some continued buying in the markets to push price to the 1.14600 selling zone. Please note that we are bearish on Euro Dollar and our analysis is based on a short term setup. UsdChf has been on our watch for the past trading days and it has been showing some great selling activity and we will be looking for further more selling on the pair. On UsdJpy we have a good break and retest of the trendine drawn and we will be looking for price to start moving down this week. We wish you a best Trading week, make sure you join our paid signals group to get updates on all setups that we trading. please use proper Risk Management in all your trades.